Shifting from a lifelong learning program primarily offering free classes to one now required to charge fees and become financially self-sufficient would be considered an amazing feat of magic. With all the challenges facing lifelong learning programs today, any administrator would most likely throw up his hands and scream “Mission impossible!” Not at Santa Barbara City College where the staff of the Center for Lifelong Learning (CLL) are shouldering the challenge with great success. CLL was initiated in the Fall of 2013. With a clear mission statement, an effective marketing plan, and a dedication to implementing LERN best practices, CLL has become a vibrant and revenue generating program. For the first year of operation, CLL was granted state funding, but starting in the summer of 2014, CLL was required to cover all promotion, production, and administration costs with student class fees. CLL has not only stayed the course but has thrived. What is more amazing is that CLL was able to implement many innovative promotion strategies, such as outbound electronic marketing and content marketing. 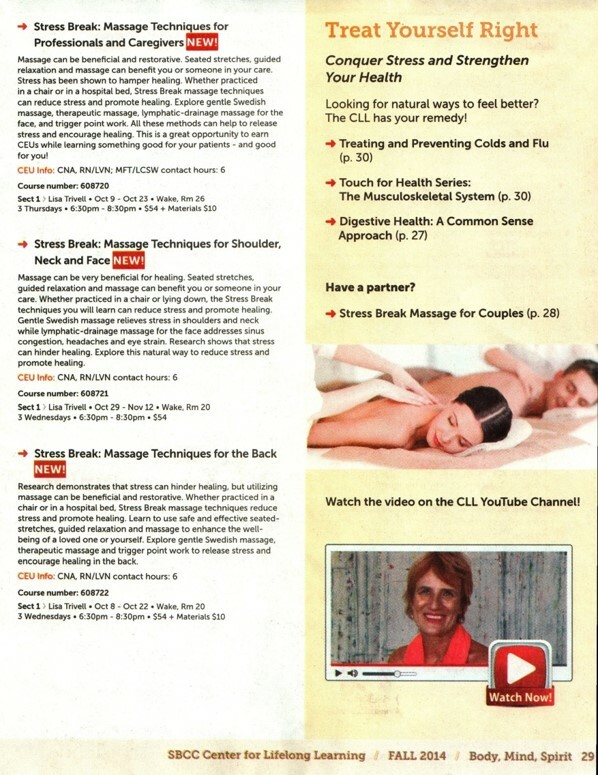 The most impressive strategy that CLL introduced was the production of teacher profile videos on their website, also highlighted in their printed catalog. Over 75 percent of CLL’s faculty has created videos! CLL understands the importance of “showing” people who are now being asked to spend money for classes what they are going to get for their money. What better way to do it than by letting their instructors speak for themselves! On a limited budget – 8 percent of revenue – CLL has done a great job of creating a successful actionable market plan. Even though print marketing is expensive, CLL, although encouraged not to produce a print catalog, followed LERN’s best practice of having a quality print catalog and produced one of the best looking and creative catalogs submitted in 2014. 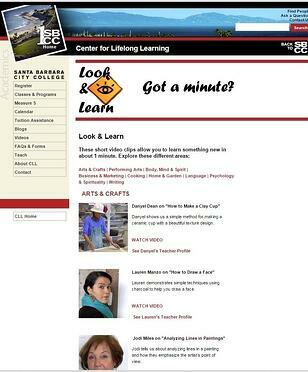 With their limited budget, CLL did not have the funds to mail the catalog, so they strategically street distributed catalogs throughout their community. Supported by multiple promotion methods, CLL in FY2013 was able to exceed their revenue goal, enroll 7,680 unduplicated students with 22,879 total registrations, and average 20 students per class, all in their first year! In FY2014, they were able to make significant progress by producing 15 percent more registrations, 31 percent additional revenue, 10 percent more unduplicated students, and 31 percent more contact hours, all while reducing their cancelation rate by 6 percent. CLL is an excellent example of a lifelong learning program facing adversity, but designing, developing, and implementing a winning solution. LERN recognizes CLL for their courage, creativity, and amazing success with an Award for Outstanding Marketing.